Recipe based on 'How to be a Domestic Goddess' by Nigella Lawson. So after having my recipe book for so long, I have finally decided to invest in mini-loaf tins. Along with a couple of 6-well donut tins, and a cupcake carrier case. No one cares about that, but I had to say it. 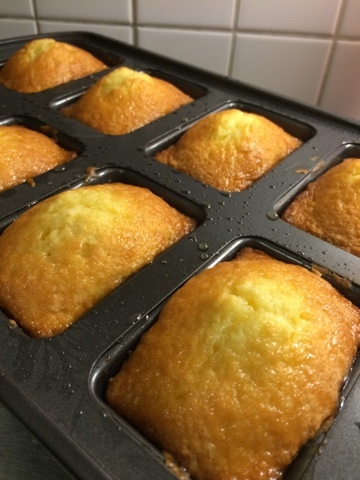 When selecting which mini-loaf tins to invest in, I was wavering between getting individual mini loaf tins (approximately 1/2 of a regular loaf), 6-well tins (approximately 1/3 of a regular loaf), and a 8-well tin (around 1/4 of a regular loaf). I was overwhelmed by the choice alone, so had to let Nige decide for me. In this book, she uses the 8-well tins, so they were what I opted for. 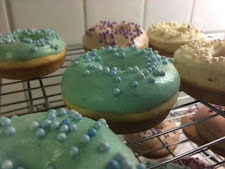 Now as I mentioned, I had invested in donut tins, and I have been having a lot of fun with them (I will update my blog as soon as possible), and realised that my other new purchase was not getting used, so I changed my plan of making more donuts, and debut homemade mini loaves... to myself. 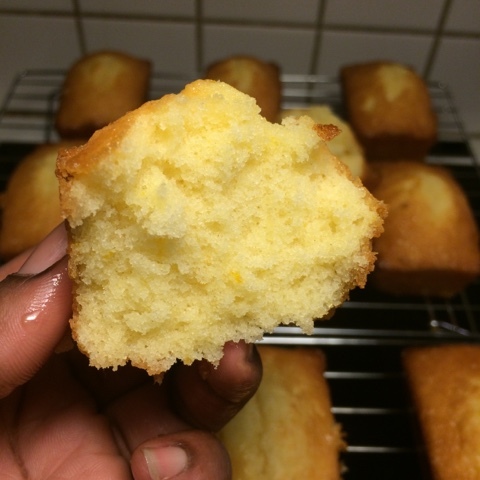 As Ms. Lawson was my deciding factor for the tin, it only seemed fitting that the recipe I used first, was the one that swung the vote: Mini Lime-Syrup Sponges. gorgeous loaves in the background! I didn't have lime at home, but I did have an organic (non-waxed) orange, and a lemon, so I used the zest and juice from the orange, together with some of the juice from the lemon. 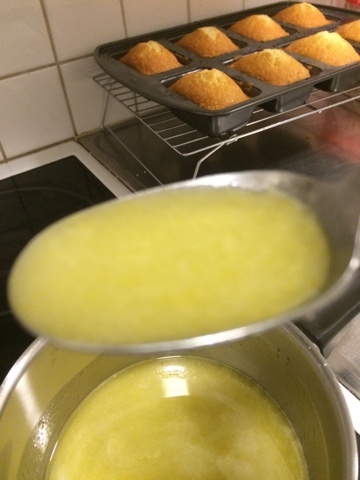 It turned out that I did not need the lemon juice, but it did add a certain lightness to the flavouring. I decided to make a double batch as 8 mini-loaves to take to work just wouldn't do, and thank goodness I did! I'm unsure whether I neglected to read it, or it simply wasn't there, but how full should the wells be?! 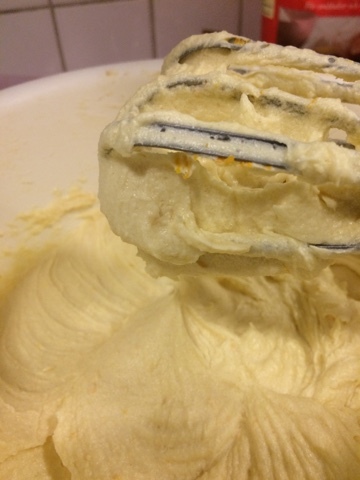 Yes, yes, I understand the concept of dividing the batter equally across 16 wells, however with my non-fan, and quite frankly, dodgy, oven, I am limited to baking one tray at a time, so I fill them accordingly. I decided to fill the wells approximately 3/4 full, and as you can see from the pictures, they rose magnificently. Too magnificently. Taste and texture were perfection... and they may have been even stickier if the loaf size was more appropriate. Definitely one to be tried again.